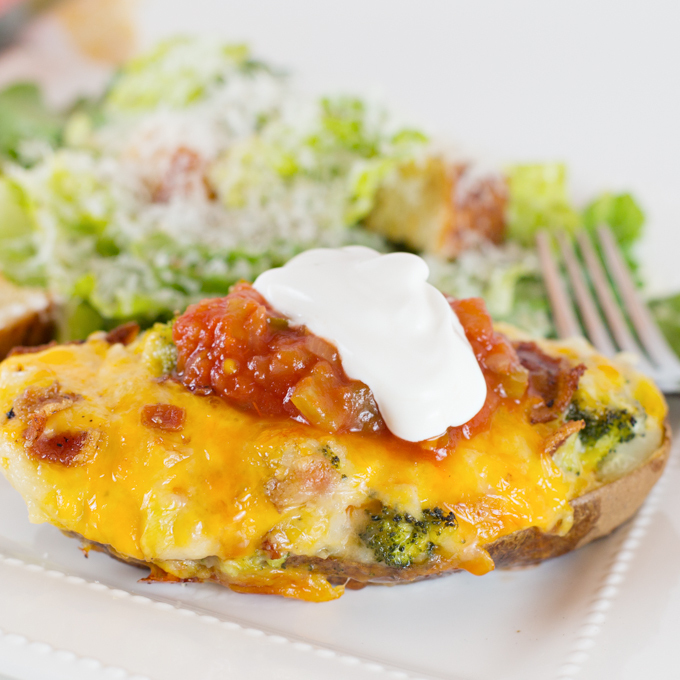 Twice Baked Potatoes are the perfect side dish to serve along side grilled chicken or steak, or, stuff them a bit fuller and they become a main course. 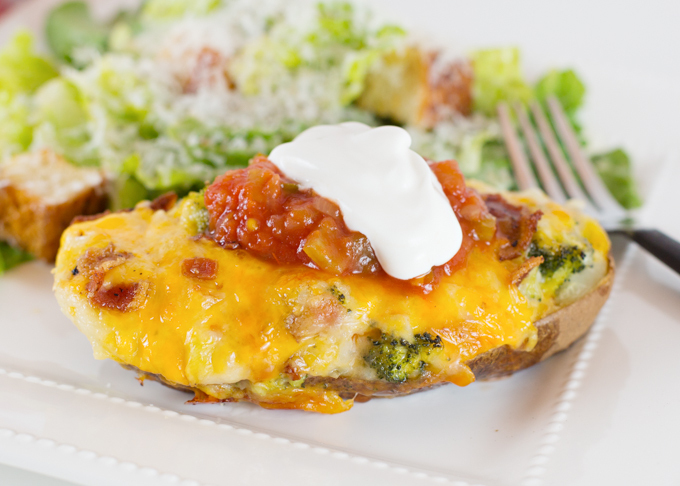 I added fresh steamed broccoli and crispy bacon, along with some extra cheese, and toppings of salsa and sour cream to make these a satisfying main course. 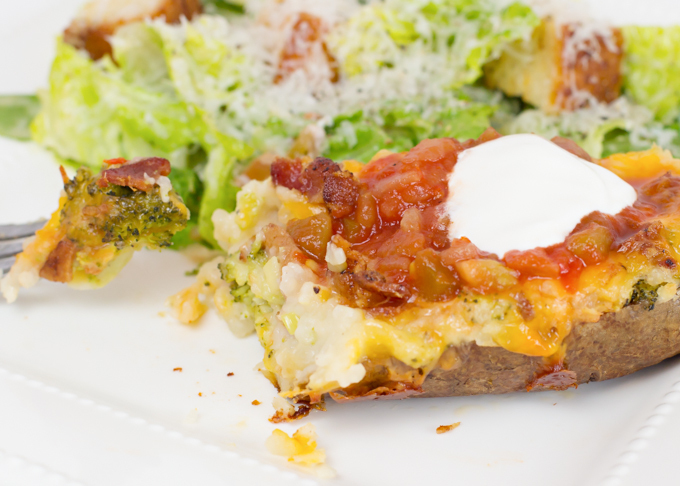 Twice Baked Potatoes aren’t a lot of work, but they do take a bit of time, since you need to first bake the potato, then scoop it out and make the filling. I find it’s just as easy to make a few extra to pop in the freezer. So, while I only needed to cook two potatoes, I opted to cook four. Half were filled with the simple cheese stuffing and two (four halves) were super stuffed and became our dinner. 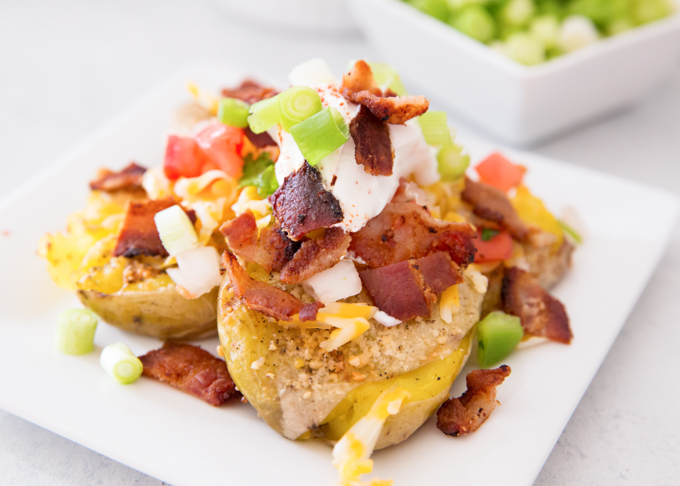 These overstuffed potatoes were seriously delicious! Here’s the super stuffed versions ready to go into the oven. And after baking. YUM! A little salsa and sour cream and these beauties were ready to be enjoyed! A little side Caesar (this one without the chicken) was all we needed to complete our meal! Make sure and check out Meal Plan Monday over at The Southen Plate, where you’ll find loads of delicious recipes!!! 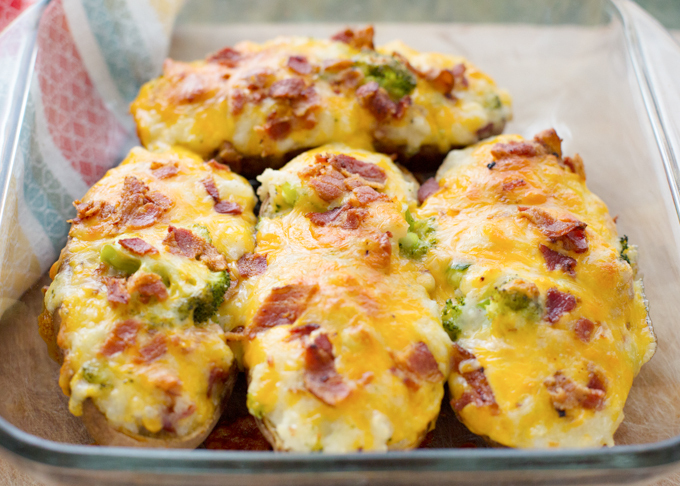 Bake potatoes until fork tender and set aside to cool slightly. In the meantime, cook your bacon (crisp). Chop and set aside. Steam broccoli florets until al-dente. Drain and set aside. When potatoes are cool enough to handle, slice in half lengthwise and scoop out potato flesh. Place potato skins into baking dish (foil lining pan will make clean up easier). In large bowl, and using an electric mixer (or a hand potato masher), blend together potato flesh, butter, sour cream, & milk. Add salt and pepper. Blend until well mixed. 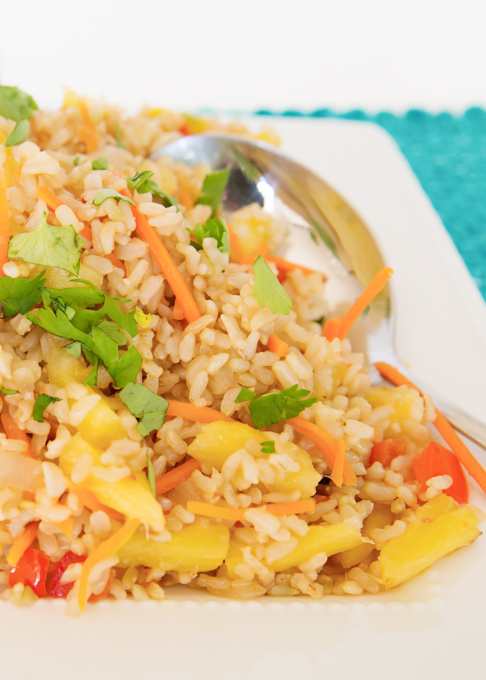 On low speed (or stir in if using a potato masher), mix in green onion and ¾ cup of cheese. Using wooden spoon or spatula, carefully stir in broccoli and bacon. 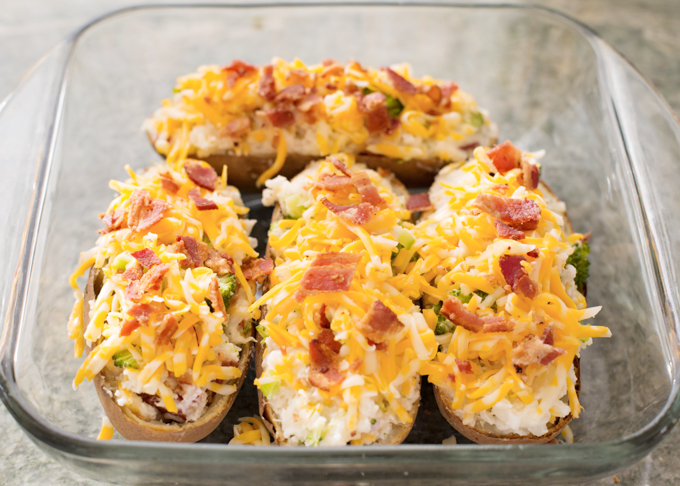 Scoop potato filling into potato shells. Top with remaining cheese. Cover loosely with foil and bake for about 20 minutes at 350*. Uncover and continue baking for approx. another 15 minutes or until hot and bubbly. 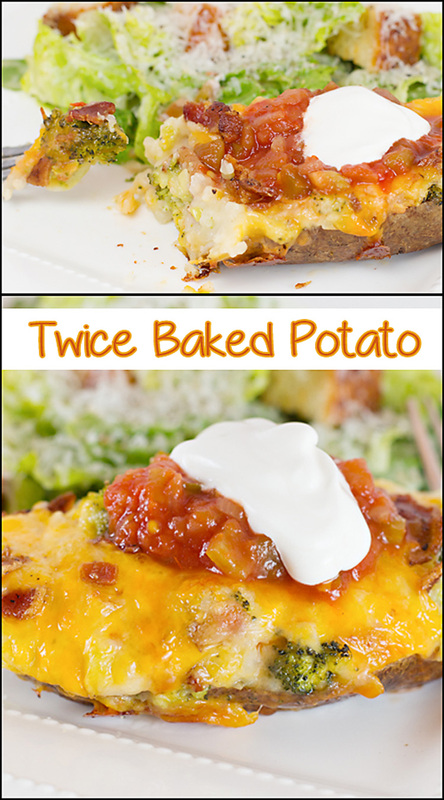 I love twice baked potatoes but I haven’t made them in forever!! These are going on the dinner menu soon! I think we can make a whole meal out of these!